Thank you for thinking about us when planning your wedding day or social function. GRAZING is a multi award-winning restaurant, so rest assured you are placing your reception into the right hands. The historic village of Gundaroo is situated just 29km from the heart of Canberra, yet it could be another world away! Gundaroo is an easy 25 minute drive from the city centre. Settled in 1825, the village boasts a unique facade of well-preserved heritage buildings and tranquil country surrounds. This landmark building was originally built in the early 1830s, probably as a travellers inn. On 27th March 1865 it opened as The Royal Hotel. The hotel is classified by the National Trust as a building of historic significance. The building lay in limbo for many years until May 2003 when new owners Mark and Jennie Mooney re-opened it after extensive renovations. The building is extraordinary with its two foot thick stone walls, five huge open fireplaces and hand cut ironbark ceilings and floorboards. It provides guests with a fantastic ambience to enjoy award winning cuisine. As well as the main building, the premises include stone stables. The Stables have had an interesting history in the life of the Royal Hotel. They housed the coach, horses and driver for Cobb and Co as the first stop on the Queanbeyan to Sydney Route. Joining the historic hotel is the new Stone room - a state of the art, architect designed facility to host weddings or other celebrations. This beautiful stone building has been carefully constructed with local field stone, recycled timbers and a white poised concrete floor featuring Bungendore river pebbles. It is stunning! Imagine canapés on the timber deck, overlooking the gardens as the sun sets over the river . . . the flicker of candle lights and fireplaces. Our experienced events team will help make your wedding day the perfect occasion. Make some time to look around our beautiful and unique venue or come out and try the wonderful food on offer. GRAZING is our award winning restaurant located inside the 1865 national trust Royal Hotel. The restaurant has achieved a reputation for friendly yet professional service and fine food, which attracts many repeat visitors and those traveling from afar. The restaurant has huge open fireplaces and a number of private dining rooms for function use. The kitchen is led by a talented young Chef, Kurt Neumann. Kurt produces innovative, award winning menus focused on fresh local farm produce, such as yabbies, local grain-fed beef, lamb and kid. The restaurant has been awarded many prestigious culinary honours including being named in the 'The Australian' 2012 HOT 50 RESTAURANTS. 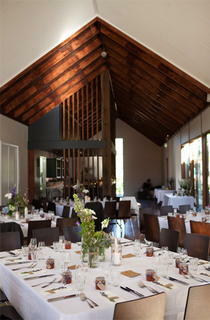 The Stone room provides the perfect ambience for a wedding reception. We can seat up to 150 people in our stunning purpose built facility. The Stone room is a magical setting. The stone walls and high pitched dark timber ceilings reflect the warm glow of candlelight. The accoustics in the stone are just perfect for live entertainment. The stone room has new audio facilities including amplifier, stereo and wireless microphone. 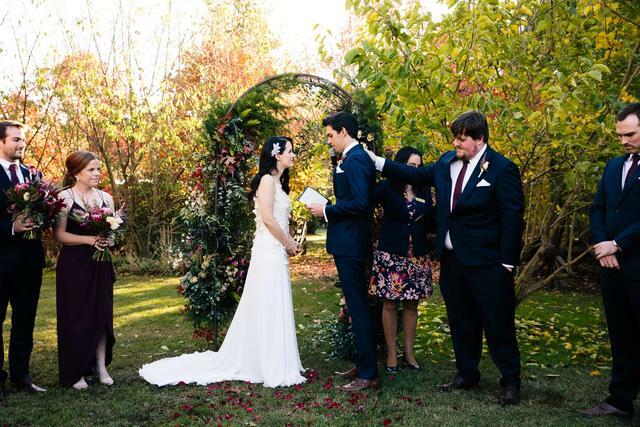 Nestled in the historic setting of Gundaroo, GRAZING is the perfect location for your wedding. Gundaroo Village has three historic "picture book" churches. St Joseph's is a gorgeous bluestone Catholic Church; St Mark's is a stately Anglican church; and the Uniting/Community Church is a quaint stone church in the middle of a picturesque green field. If you would prefer a civil ceremony there are several options available. We would be very happy for you to hold your ceremony in the grounds of the Royal Hotel. We have wet weather contingencies and can provide seating for your ceremony. A small charge would apply to cover labour for the set up. GRAZING is recognized as one of Australia's best regional restaurants. We have received fantastic reviews nationally in most capital cities and even internationally including Hong Kong, Singapore and New Zealand. Let our award winning Chef design the perfect menu for your special celebration. We are very flexible with menu design and can tailor you a menu to suit your budget and requirements. 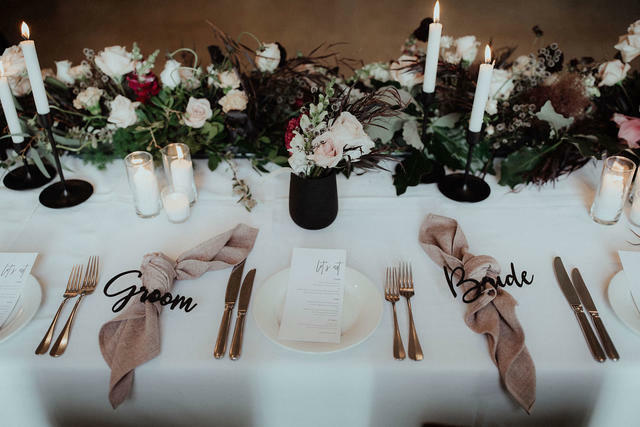 A more traditional reception may start with canapes on the front verandah followed by a sumptious three course meal in the stone room. You may like to use your wedding cake for dessert and supplement it with a boutique cheese selection. This is your day, so while we are happy to recommend dining options, we are completely open to your ideas. Thank you for considering Grazing to host your important event. We will endeavour to make your event as memorable as possible and your satisfaction is paramount to our success. While considering Grazing to hold your event this information sheet will outline the specific details you need to make an informed decision. For groups of twenty (20) or more, an alternate double drop menu will be offered. The two preferred dishes for your group will be selected off our limited à la carte menu. For an additional charge an alternate triple drop menu may be selected. You may advise us of a figure to place on a bar tab. Our efficient staff will discreetly advise you if your targeted figure is being reached so that you can choose either to top up the tab or allow your guests to purchase their own drinks. You may select beers, soft drinks and wines from our award winning list. We are happy to recommend selections for you. We are completely flexible when it comes to tailoring your own beverage selection. Beverage packages may be chosen for a minimum of 80 guests for private functions only. 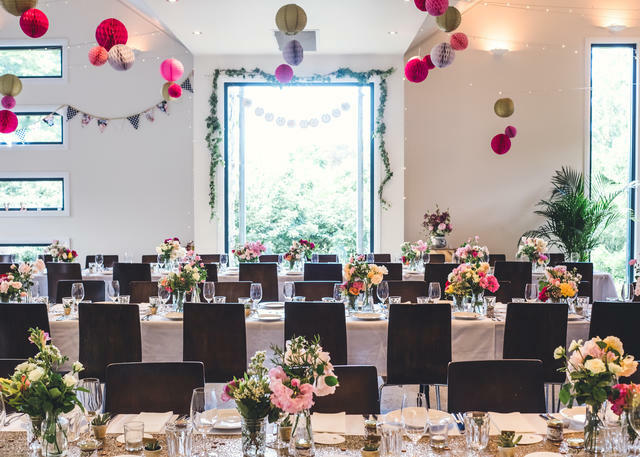 Do you charge any venue hire fees? No, normally the Stone Room is for your exclusive use to share with your guests. We will advise you up front if your guest numbers are not sufficient to allow for exclusive venue use. 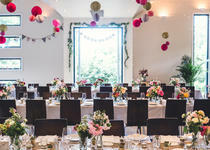 In this instance a venue hire charge may apply for exclusive use. A fee does apply for onsite ceremonies to cover set up. How do I choose the menu? GRAZING is focused on quality produce and our menus are designed to reflect what is being picked fresh from our edible gardens. You can choose your menu from our exquisite seasonal menu. Can I use my own cake as dessert? Is there a charge for this? For weddings only, yes you may. Charges and conditions are outlined previously. How much should we budget for drinks? Well, you know your guests the best! Several factors contribute toward the drink spend at events. For example if it is extremely hot, despite us providing ample water on all the tables, we tend to find that consumption is a bit higher. As a general rule you could budget for between $40 - $50 per head and we will help guide you with drink selections. If you are running a consumption tab, we will keep you informed on how the tab is progressing. Are there any other hidden costs? Basically no, however our full terms and conditions are available for you to read. There are some minor surcharges applicable, for example to cover additional labour costs on Public Holidays, Sunday's and for credit card payments. We do not have accommodation, however we can recommend several delightful local places to stay, such as The Nest Gundaroo and The Gundaroo Colonial Inn. What time do we have to be out by? We close at midnight. If you have a lunch time wedding we recommend an 11.00am start. We would require the venue back by 4.30pm in order to have it ready for dinner service (if applicable). What time can we commence our reception? Evening weddings usually commence at 6.00pm. However, this is flexible. Can you cater for children, vegetarians and other special dietary needs? Yes of course, we have a dedicated children's menu, a vegetarian menu and our Chef is experienced with a range of special dietary needs. Please call us to make an appointment to view our facilities. We would love to discuss some of the fine details and answer any questions that you may have.